This blog post brought to you by Sleep Deprivation. You have been warned. This marks my first visit to By The Pound in their new location! I didn’t come home with much, but i found some temporal treasures nevertheless. Kokeicha (By the Pound) ~ new storefront by Jocilyn Mors is licensed under a Creative Commons Attribution-NonCommercial-ShareAlike 4.0 International License. So at this point you’re likely saying to yourself, “Shut up! I don’t care. Enough with your windbag doggerel tangents! What the hell is Kokeicha? !” … Ahem. Fair enough. o.0;; Err… Yes, well, that is… Most often exported from Shizuoka, Kokeicha is basically a spaghetti-shaped byproduct of matcha that’s been compressed, kneaded, extruded and dried. …and now I’m talking to myself. In aroma, Kokeicha smells like a rich windy field of lemongrass and cattails with a hint of honey. Similarly, Kokeicha has a decidedly woody/straw flavor aspect, with a lemony astringent aftertaste similar to kukicha. In texture, I’d call it a medium grit with a smooth finish. In liquor, a light yuzu. All told, Kokeicha is a fairly unremarkable, but highly drinkable Green. 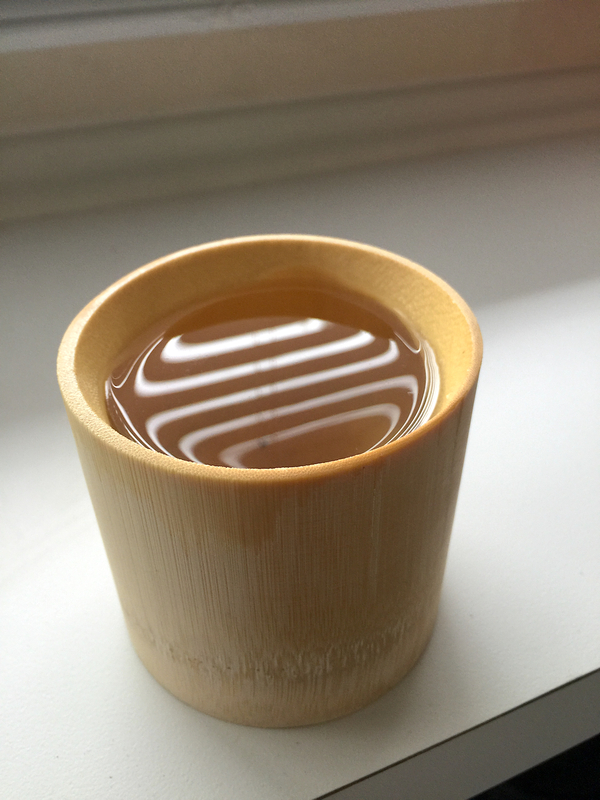 If you were to make a contiuum with low-grade sencha on the bottom and the highest pinnacle grade gyokuro on the top, Kokeicha would be on the lower half but not necessarily near the bottom. If nothing else, it’s rare and interesting! Kokeicha (By the Pound) ~ loose leaf by Jocilyn Mors is licensed under a Creative Commons Attribution-NonCommercial-ShareAlike 4.0 International License. Kokeicha (By the Pound) ~ loose leaf macro 14x by Jocilyn Mors is licensed under a Creative Commons Attribution-NonCommercial-ShareAlike 4.0 International License. Kokeicha (By the Pound) ~ spent by Jocilyn Mors is licensed under a Creative Commons Attribution-NonCommercial-ShareAlike 4.0 International License. Kokeicha (By the Pound) ~ liquor by Jocilyn Mors is licensed under a Creative Commons Attribution-NonCommercial-ShareAlike 4.0 International License. Kokeicha (By the Pound) ~ liquor B by Jocilyn Mors is licensed under a Creative Commons Attribution-NonCommercial-ShareAlike 4.0 International License.